A LACK OF available office space in Dublin is a serious threat to overseas investment here a new report by the ESRI has found. With just 5% of office space in the capital currently available, Foreign Direct Investment (FDI) is under threat as strategic planners have no avenue for a company to expand quickly once it has established itself here. 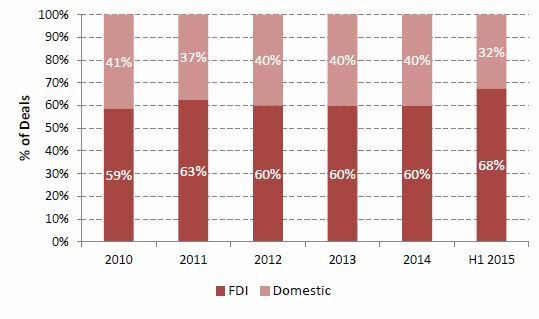 70% of the takeup of such office space in Dublin thus far in 2015 was by new and existing FDI, primarily tech-based companies. As much emphasis as is placed on how the recession affected the domestic property market here, the commercial property market was hit just as badly. Dublin is the only European capital where no commercial property construction was undertaken in the last few years according to the report. The general pattern for large tech multinationals landing in Ireland is to begin with small-scale office requirements before engineering large-scale, rapid expansion suggesting our current lack of space is more than a little worrying. Google, for example, have expanded their office size from 5,000 square feet to 650,000 in the 12 years they have been in Ireland. “As a consequence of the crash there was no office space construction in Dublin between 2011 and 2013, which has caused a reduction in the choice of available properties,” says David Duffy, co-author of the study. Ireland has a number of key attributes that continue to attract FDI, but office space is also an imperative factor for any business. “The issue for the market is timing,” agrees Duffy’s co-author Hannah Dwyer. Occupiers require space and flexibility in leases to enable them to expand quickly. The reality for expanding occupiers is that they will have to wait 12 months for available space. The research note in question, titled ‘FDI and the Availability of Dublin Office Space’ has been published this morning by the ESRI (Economic and Social Research Institute) and is available on their website here. Email “Ireland relies heavily on foreign companies, and right now we've nowhere to put them...”. Feedback on “Ireland relies heavily on foreign companies, and right now we've nowhere to put them...”.